Trenitalia presented to the press last week its new regional Pop train in Bologna station (Italy). This train was built by Alstom under the name Coradia stream. Satys Interiors Railway contributed to this success by developing a new floor heating concept that improves the wellbeing of passengers. Satys is continuing its reorganization to support its growth. Starting on October 15th 2018, the group will be reorganized into 2 business units, Services et Systems, in order to increase the transparency of what we offer, foster synergies, share best practices and better answer our current and future customers. Fabien Roualdes, who has been in charge of the support departments since he arrived in January, will become the Group’s Managing Director. On May 24th 2018 Satys bought the Spanish company Kelox which was founded in 1959 with locations in Madrid and Pennsylvania (USA). Kelox is specialized in rail equipment through the design and supply of galley systems and the provision of related services to builders of rolling stock and railway operators worldwide. 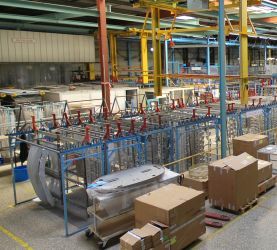 Main core business activities are refrigerated systems, stainless steel equipment and interior developments by carrying out turn-key projects. 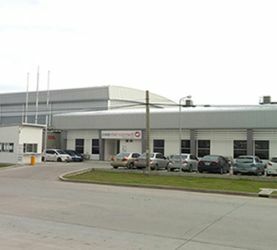 In Madrid, Kelox has a design and engineering office, a 2000 m2 factory and a test laboratory with Iris and EN 15085 certifications. 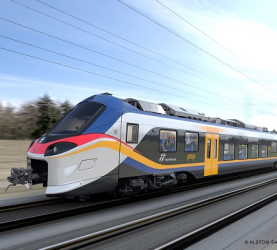 Among its main customers are Alstom (the company recently chosen by Alstom for the Amtrak project, high speed trains in North America), Hitachi, Siemens, Talgo. Kelox will strengthen and complete the Satys Interiors Railway division (formerly SMTC). At the Aircraft Interiors Expo 2018 (AIX) in Hamburg we presented our new identity and our now booth. Our Business Unit, Satys Interiors, was able to show some tailor-made solutions to VIP and Airlines. 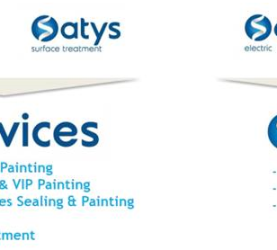 Satys Sealing & Painting (formely STTS): aircraft painting & sealing, aerostructures & railway equipment. Satys Interiors (formely AIP, AIT and SMTC): design and production of railway and aircraft interiors. Satys Electric (formely CIEE Interconnect): wiring and cable assemblies for the medical, energy, rail and aerospace sectors. Satys Surface Treatment (formely AST): surface treatment for aerospace components. Why Satys? Customer satisfaction, one of the group’s key values. 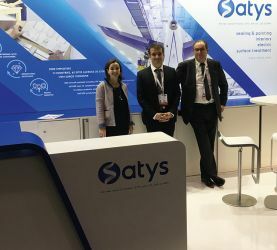 Satys group completed the 2017 fiscal year, which ended September 30th, with a revenue of €172m an increase of 28% over 2016 and 19% at constant scope, with 2500 employees in 11 countries in Europe (Francs accounts for 60% of the employees), Middle East, China, South-East Asia and North America. The group’s headquarters are in Blagnac (Occitanie Region of France). Activity in 2018 will be superior to €200m at constant scope and profitability will make it possible to support future investment programs after those from the 2016-2018 period which amounted to €120m. 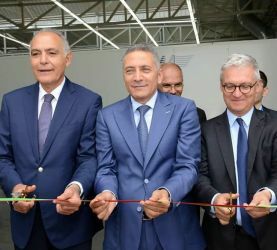 At the end of the five year road map established in 2017, the group has set itself an objective to double its activity by 2025, through internal growth and acquisitions across the four business units, while remaining agile and always ready to reassess itself. Satys Sealing & Painting is today one of the leading partners of Airbus and Boeing in a risk sharing program for painting new aircraft. 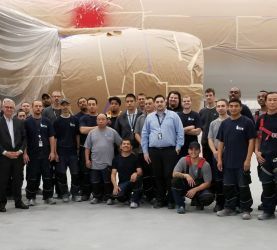 Furthermore, Satys Sealing & Painting is already present in the aircraft repainting (MRO) market and will intensify its development, especially in the Middle-East, thanks to the opening of a new paint hangar able to accommodate the A380 at the Dubai South Al Maktoum airport in 2019. Satys Sealing & Painting will be able to paint more than 1000 aircraft by 2023. 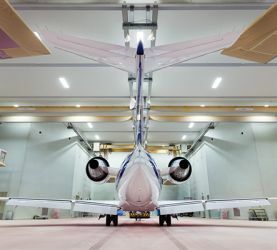 Based in Blagnac, the heart of the aircraft painting world capital, Satys Sealing & Painting has initiated innovation programs so that customers can improve their competiveness especially in aerostructures. 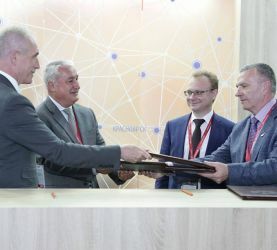 This innovation is supported by Expiris, the group’s R&D lab in which the company holds 50% of shares. Satys Interiors specialized in railway and aerospace interiors in specific markets, will boost its growth thanks to its presence in China and through external growth especially in the rail industry. Satys Electric, of which the design office and manufacturing are based in Thailand, will continue to provide support for its customers in the medical, energy, railway and aerospace sectors with two new sites planned for in Germany and the USA. This development will allow Satys Electric to see its activity doubled by 2025. Finally, Satys Surface Treatment, the group’s new activity, will undertake heavy investments. Like in the other business units, disruptive innovation, competitiveness, zero-pollution, working conditions and internalization will all drive new growth. New acquisitions are currently under consideration in this business unit. At the same time that the Dubai wide body hangar was being built, AIP began developing its aircraft interior design in the Middle East. Frédéric Seguy has been overseeing these two projects since his expatriation there last summer. AIP recently joined forces with Greenline Interiors, a company that has been in Dubai for 40 years and specializes in the interior design of luxury hotels, palaces and some of the biggest yachts in the world. 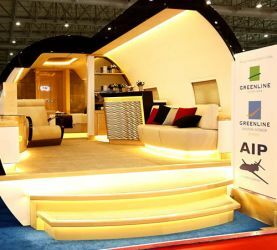 The new company is simply called AIP GREENLINE, Aviation Interiors and plans to start renovating aircraft interiors in order to subsequently ramp up manufacturing activities. Since March 1st 2017, Mark Chandler has been working with Frédéric Seguy as foreman. Mark brings with him over 30 years of experience in interior cabin design. Backed by AIP/AIT and Finaero, the team is currently concentrating on the redesign of the workshop located in the Greenline buildings, recruitment of a production team and the implementation of procedures to acquire local and European certifications (EASA PART145 + GCAA CAR145). Please note that a new project will begin in April with Etihad Airways Engineering in Abu Dhabi, to support all work done in the A320 VIP cabins, work which is done with the help of AIT Toulouse. Let’s hope this is the first project of many more to come!